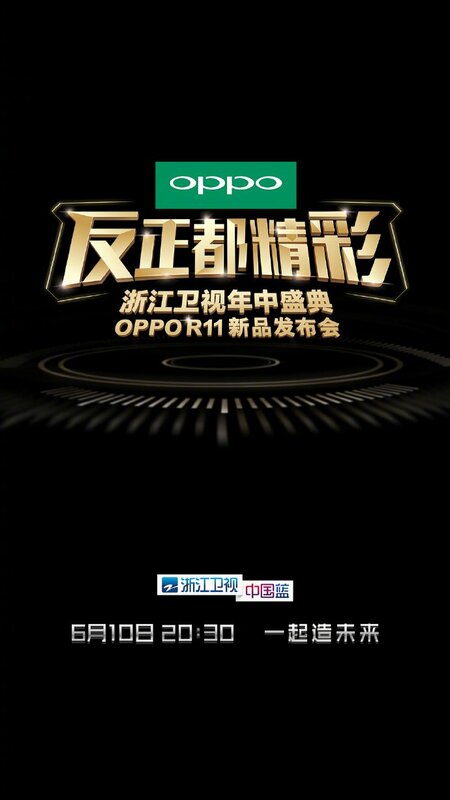 Oppo has just confirmed via an official teaser on weibo that it will launch its new smartphones Oppo R11 and Oppo R11 Plus in an official event on June 10 at the Shenzhen Universiade Sports Centre in China and has also launched a mini site for the R11 launch. 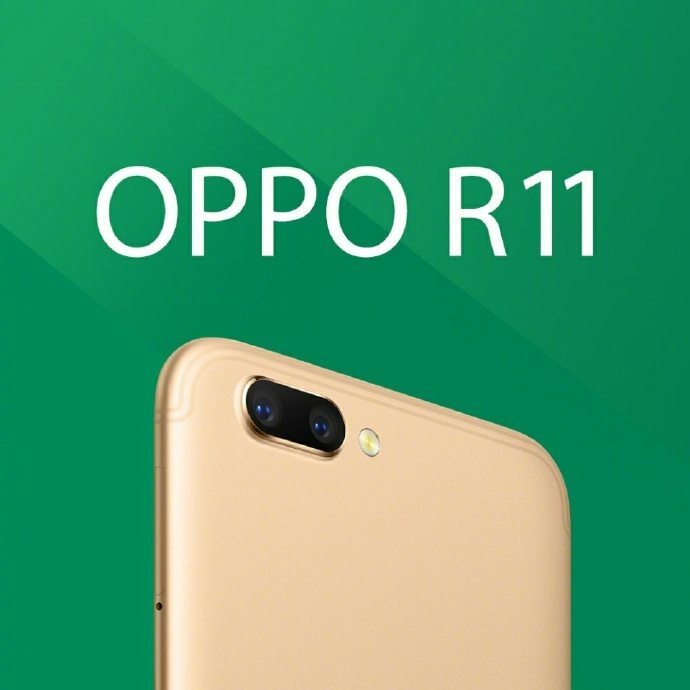 The Oppo R11 and R11 Plus has recently got the TENAA approval in China confirming the specifications of both the device along with the leaked images of both the devices. The Oppo R11 was also spotted listed at AnTuTu with partial specifications but the TENAA listing leaked the device in its full glory. 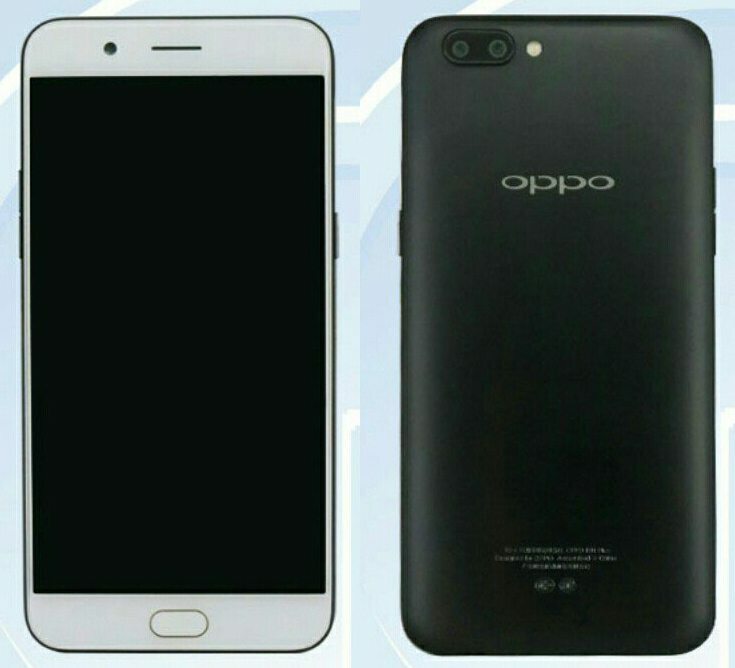 The Plus variant will have a huge battery however, the smaller Oppo R11 will have a smaller battery than the Plus variant. Both will have fingerprint scanners on the rear panel and will feature a metal unibody designs. Let's checkout the specifications of both the devices from TENAA. The Oppo R11 was spotted at TENAA with a 5.5-inch full-HD AMOLED display with 1920 × 1080 pixels resolution and is powered by a Octa Core Snapdragon 660 14nm processor (Quad 2.2GHz Kryo 260 + Quad 1.8GHz Kryo 260 CPUs) with Adreno 512 GPU. It comes with 4GB of RAM and comes with 64GB inbuilt storage capacity and MicroSD card expandable storage up to 128GB. It runs on the Android 7.1.1 Nougat OS out of the box and will also support Dual-SIMs. It has a dual rear camera with a 20-megapixel + 16-megapxiel rear camera along with LED flash and 2x optical zoom and it also comes with a 20-megapixel front facing camera as well for selfie lovers. It is backed up by a 2900mAh battery and comes with 4G LTE with VoLTE, 3G, GPS, Bluetooth and other options as well. It measures 154.5 × 74.8 × 6.8 mm and weights 150 grams. It comes with Gold, silver and black color options. The bigger Oppo R11 Plus features a 6-inches TFT full-HD AMOLED display with 1080 × 1920 pixels resolution. It is powered by a octac-ore Snapdragon 660 14nm processor (Quad 2.2GHz Kryo 260 + Quad 1.8GHz Kryo 260 CPUs) with Adreno 512 GPU. It comes with 6GB of RAM and comes with 64GB inbuilt storage capacity and also comes with MicroSD card expandable storage up to 128GB. It also runs on the Android 7.1.1 Nougat OS out of the box and will also support Dual-SIMs. It also features a dual rear camera with a 20-megapixel + 16-megapxiel rear camera along with LED flash and 2x optical zoom and it also comes with a 20-megapixel front facing camera as well for selfie lovers. It is backed up by a 3880mAh battery and comes with 4G LTE with VoLTE, 3G, GPS, Bluetooth and other options as well. It measures 165.8 × 81.5 × 7.8 mm and weights 188 grams. It comes with Black, gold and rose gold color options. At AnTuTu the Oppo R11 was spotted with a full-HD display with 1920 x 1080 pixels resolution and is powered by the Qualcomm Snapdragon 660 SoC that also comes with Adreno 512 GPU. It is listed with 4GB of RAM and 64GB of inbuilt storage capacity and might be having the expandable MicroSD card slot with up to 128GB storage capacity. The Oppo R11 runs on the latest Android 7.1.1 OS out of the box. The AnTuTu listing further confirms that it will feature a 20-megapixel front facing camera and will have a 20-megapixel rear camera but we already know that it will feature a dual rear camera with a secondary 16-megapixel camera as well. More details will be available on June 10 in the official event along with its pricing and availability.